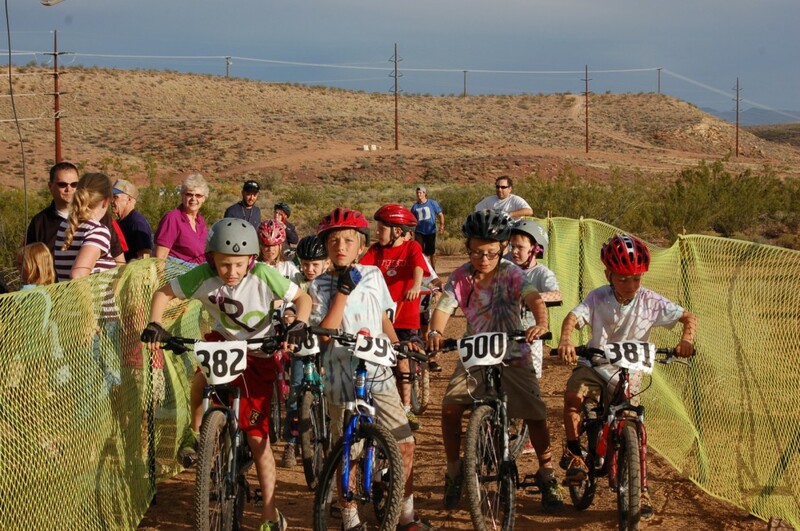 ST. GEORGE — An abundance of open space, technical trails and community support have combined to catapult the St. George area to the top of the list of premier mountain biking destinations. The new status didn’t come overnight; for the last 15 years, trail advocates and nonprofit groups have worked with the Bureau of Land Management to develop and map more than 350 miles of single-track and double-track trails. In fact, crews are working this fall to build more trails around Quail Creek State Park. “New businesses and athletic events are thriving in Washington County because of these additional trails,” said Cimarron Chacon, president of GRO Promotions. In her work as a race organizer, Chacon has watched firsthand as people from all over the world discover Southern Utah’s rare topography and unmatched beauty. Last month, her annual 25 Hours in Frog Hollow mountain bike race attracted participants from 17 countries. 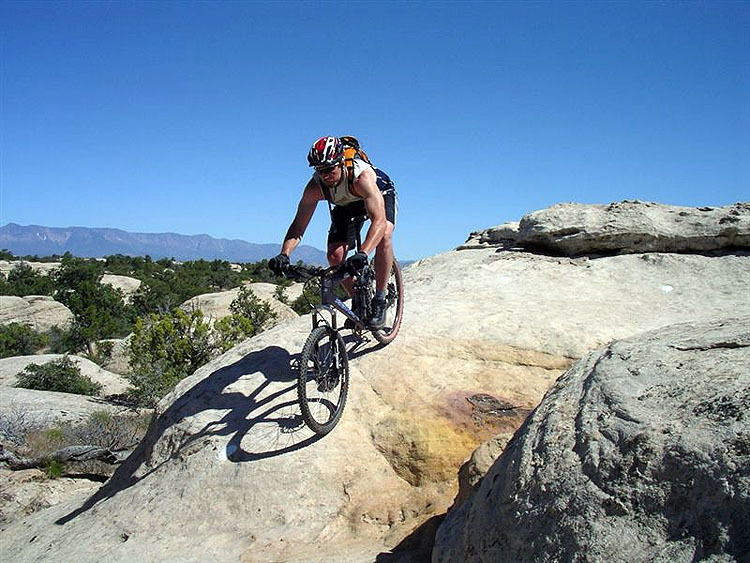 Purpose-built biking trails that take riders to the top of red rock mesas have made the St. George area particularly attractive to mountain bikers. Gooseberry Mesa, near Hurricane, was dedicated as a National Recreation Trail in 2006 and has quickly become a crowd favorite with world-class rankings. Morisette said the increase in mountain bike tourism has been exciting to watch since he and his wife opened their shop seven years ago. He attributes the surge in popularity to glowing articles in national publications and word-of-mouth praise on social media. 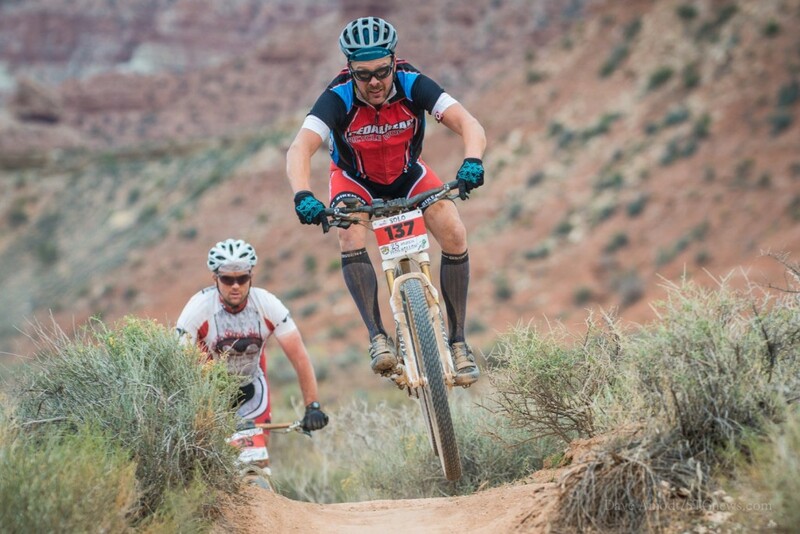 Convenience also plays a big part in drawing mountain bikers to the St. George area. Riders can quickly link to miles of trails right from town. Also, being located on Interstate 15 — with access to the city’s municipal airport and the international airport in Las Vegas — allows visitors to maximize time on the trails. Solidifying St. George’s spot as the next biking hot spot, the Utah High School Cycling League held its October state championship races in the Green Valley area. The 4.36-mile-long course challenged approximately 600 student athletes with slick rock technical sections, dry washes and 600 feet of elevation gain. Jensen’s mountain bike team, the Flying Monkeys, consists of nearly 50 athletes from high schools in Washington County. He points to the sport’s family friendly qualities that make it a desirable youth sport and vacation activity. “There’s a good vibe and good culture that’s generated from the sport,” Jensen said. Believe me, we appreciate all the effort that the community puts into cycling infrastructure. The paved trail system was a big factor in our retiring here, and I personally know people that moved here for the mountain biking. This adds up to a lot of money invested into real estate, retail, services, taxes, and our personal skills and knowledge that will be contributed to this area. The proposed extensions of the Virgin River Trail system to Zion will become a world destination for cycling tourism. It is good the Spandex down-hillers are out in the wilds on their trails, that makes much less of them clogging up city streets. If they do crash out there (why would you need helmets if the sport were so safe? ), well, no blood and ambulances needed on our roads; all to the good. It is comforting to know, however, that some merchants sold a few additional cans of chain oil. Exercising bicyclists make Wilbur sad. As he zooms past a cyclist in his pickup truck, narrowly missing the rider with his passenger’s side mirror, he is reminded of his distant youth, receding hairline, burgeoning gut and wheezing breath each time he climbs the stairs. It’s hard to believe that twin brothers Mike and Morgan Harris had the vision in 1994 to go to the BLM get permits and build the Gooseberry Mesa Trail.The trail was finished in 1996 and waited until 1998 to be dedicated. They never dreamed it would become a world renowned trail system . Wilbur, hope you never hit a cyclist. Your comments might be considered pre-meditation.